NEL SETTEMBRE 2015 LA NOSTRA AGENZIA, CON SEDE NEL QUARTIERE DI ROMA 70 A POCHI PASSI DAL CENTRO COMMERCIALE "I GRANAI" DELL'EUR, HA COMPIUTO 35 ANNI. DA SEMPRE IN PRIMA LINEA PER GARANTIRE LA MASSIMA PROFESSIONALITÀ E UN AMBIENTE CORDIALE E ACCOGLIENTE, METTIAMO IL CLIENTE AL CENTRO DEL NOSTRO IMPEGNO QUOTIDIANO - SEGUENDO COSÌ IL PERCORSO INIZIATO DA NOSTRO PADRE, UNO DEI PIONIERI DEL SETTORE IN QUESTA ZONA. OFFRIAMO SERVIZI DI CONSULENZA AUTOMOBILISTICA, TENENDOCI AL PASSO CON LA TECNOLOGIA. 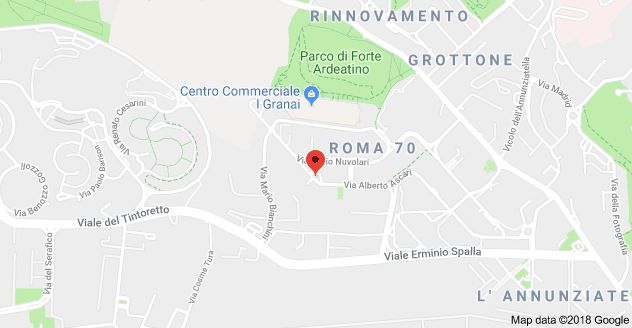 DA ANNI OPERIAMO COME SPORTELLO TELEMATICO DELL'AUTOMOBILISTA, INDICE DI GARANZIA FORNITO DIRETTAMENTE DAL MINISTERO DEI TRASPORTI, SBRIGHIAMO PRATICHE AMMINISTRATIVE ONLINE IN TEMPO REALE E SIAMO TRA LE PRIME AGENZIE DI ROMA AD EFFETTUARE I RIVERSAMENTI DELLE TASSE AUTOMOBILISTICHE. IL NOSTRO FIORE ALL'OCCHIELLO SONO I SERVIZI RELATIVI AL RINNOVO E AL RILASCIO DELLA PATENTE DI GUIDA PER TUTTE LE CATEGORIE E LA FORMAZIONE DEI NUOVI PATENTATI. DA PIÙ DI 20 ANNI SIAMO PRESENTI ANCHE NEL CAMPO ASSICURATIVO, COLLABORANDO CON COMPAGNIE LEADER NEL SETTORE AUTO E DANNI. INOLTRE, CON UN’ATTENZIONE COSTANTE ALLA SICUREZZA STRADALE, CI IMPEGNIAMO A LIVELLO SOCIALE, OFFRENDO CORSI GRATUITI ALLE SCUOLE ELEMENTARI E MEDIE. CERTI DI POTER SEMPRE MIGLIORARE PER SODDISFARE LE VOSTRE ESIGENZE, RINGRAZIAMO TUTTI QUEI CLIENTI CHE QUOTIDIANAMENTE RINNOVANO LA LORO FIDUCIA IN NOI.